I love transforming smiles! It can be a simple front tooth esthetic bonding, veneers or a full arch restoration with implants. Those smiles that come from our patients after seeing the final results are absolutely PRICELESS to me. 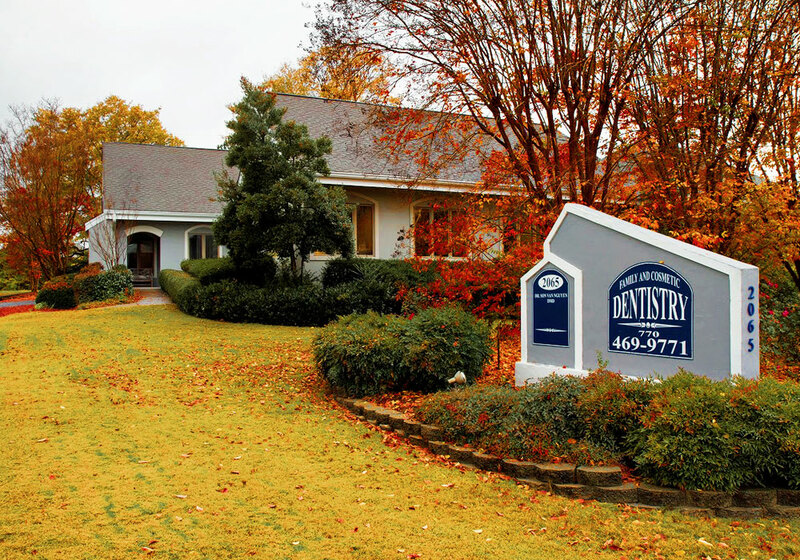 Welcome to Stone Mountain Dentist! We think you’ll notice the difference as soon as you walk in the door. Our practice is unique, with its cozy décor, wooden floors and ceiling, large windows, “home” atmosphere and a friendly and accommodating staff. We are a very different kind of dental practice. We invite you to visit us soon. You will experience the difference the moment you walk in the door. Hurry up! Contact us today and get 100% free first dentist consultation! Dr. 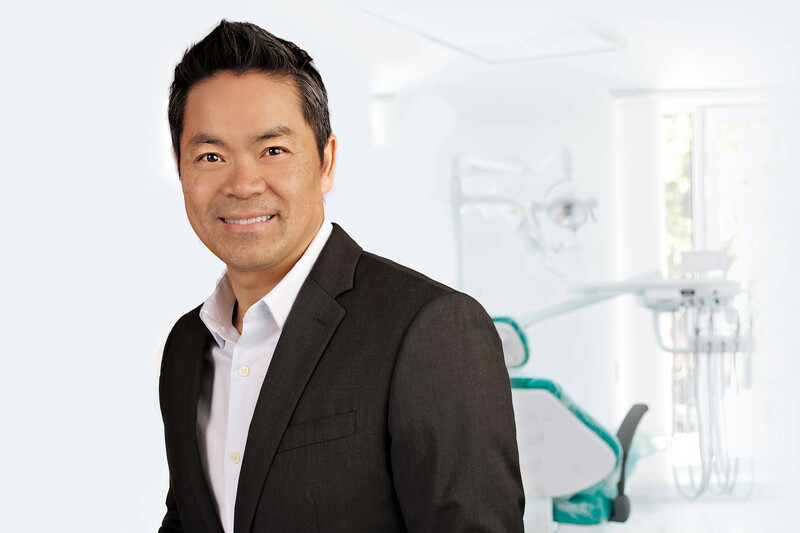 Son Van Nguyen DMD and the Staff of Stone Mountain Dentist are ABSOLUTELY THE VERY BEST IN THE BUSINESS…!!! This was an amazing level of customer service and customer care, setting the bar so high that other companies should learn from them. As much as I would like to pick one individual staff member as being the very best, I can’t. They are a team working as mirror images of one another, going above and beyond to make each patient feel as comfortable as possible. It ticked me to experience how the longtime patients interact with the staff, greetings as warm and personal as if they were speaking with a real sibling. It was then that I truly understood how blessed I was to be a patient of Dr. Nguyen and his Staff. I started my exam on a Tuesday and by Wednesday I left the office having done an impression for my partials, deep clean on the upper and lower, and extractions of all 4 wisdom and others. These visits would normally take weeks but Dr. Nguyen and his staff notice how important it was for me to start the new year with a new smile. That intuition and understanding of their patients is first class service from a FIRST CLASS TEAM. So in closing, I would like to personally thank Dr. Nguyen and the team of Stone Mountain Dentist for an AMAZING EXPERIENCE…!!! Thank you and can’t wait to see the team again…. 5 Star Service and 100 stars for having such Lovely Hearts! OMG – THIS IS ONE OF THE BEST DENTISTS OFFICE I HAVE BEEN TO IN MY WHOLE LIFE!! I’m not kidding. I recently left my last dentist and my experience was too brutal – left with bruises on my face along with not even cleaning off my face properly until I noticed when I was driving back home in tears and pain. All this was simply a cleaning and left with cuts. After which I promised I would never go back to a Dentist if possible and try the natural way. But when I arrived to this office I am telling you it was the best experience – now my confidence in dentists is restored. Amazing experience from the receptionist (who are very kind, patient), hygienists (who are very personable, funny, gentle and function like doctors), and finally meeting the awesome dentists. He is very gentle and knows his work. Very, very positive environment and I’m thankful they’ve restored my confidence. .. However, I’m here to stay!! I truly enjoyed getting my teeth cleaned on 3/23/15. I have never ever been able to say that. I am always nervous about the dentist or any kind of dental work because it usually hurts, but Dr. Nguyen made me feel relaxed. He was very gentle and his hygienists are gentle too. I told my friend when I got home that my teeth hadn’t felt that clean in a long time and I didn’t want to eat anything to make them dirty. I would recommend anyone who is nervous about dental work to try this office out. The staff was extremely friendly warm and inviting. This is the best experience I’ve ever had with a dental practice. Love the staff and Dr. Nguyen! Always professional and provide the best care possible. 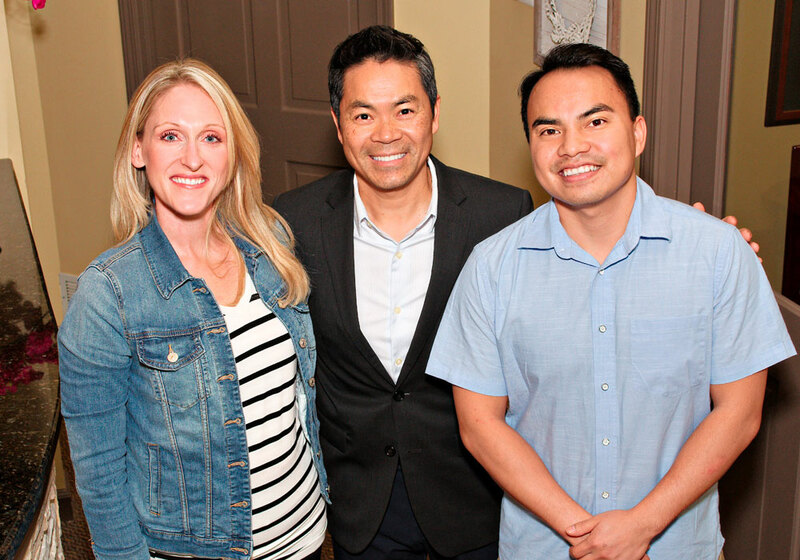 I’ve been under the care of Dr. Nguyen for a number of years and have received the best in dental care. Superb! 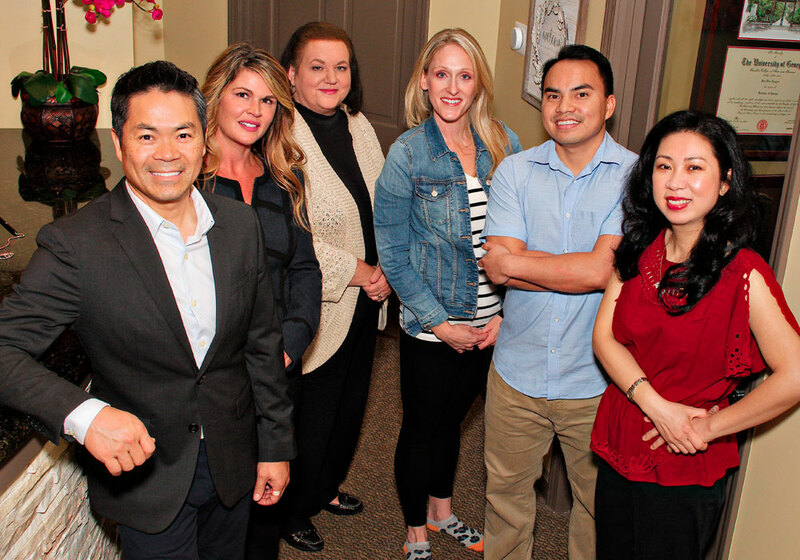 Dr. Nguyen and his office staff are very professional with a down home feel. I was really afraid of dental care until my first appointment with Dr. Nguyen. Thank you Dr Nguyen and staff! You are awesome! Great as usual. I had a tooth emergency during the same week as my scheduled cleaning. The staff was very accommodating-squeezing me in to fix the problems and making sure to check back when I returned 48 hours later for a cleaning. I adore the staff here! Outstanding Dentist and Office. State of the art procedures and equipment. Friendly, extra-competent staff and Hygienist. You will not be disappointed! I grew up with very bad dental experience, so it has taken me a long time to get over these fears! I would trust Dr. Nguyen to do anything to me!! Such a comforting and excellent doctor. I actually almost fell asleep while he was filling a cavity the other day!! If you’re looking for a Dentist that cares, look no further! I highly recommend Dr. Son Van Nguyen, he is an excellent Dr and cares very deeply for his patients. The staff is extraordinary can’t say enough of how helpful and personable they are. Stop by and check them out I guarantee you will look no further. Oh! did I mention the facility is very clean which definitely gets an “A” in my book! It is like going to see friends. They make my day! I can’t say one bad thing about my experience going there and It’s been several years since a friend referred me to them. It’s impossible to review a dentist and a dental hygienist you have total trust in. They have your best interest in mind as they are totally professional, with just a tad of southern country politeness. They are the best you can have for a dentist, I just love them I feel like part of the family each time I go and my family loves them to.if you want to be treated with kindness, gentleness and respect go there you will love him and the staff because they are nice people. 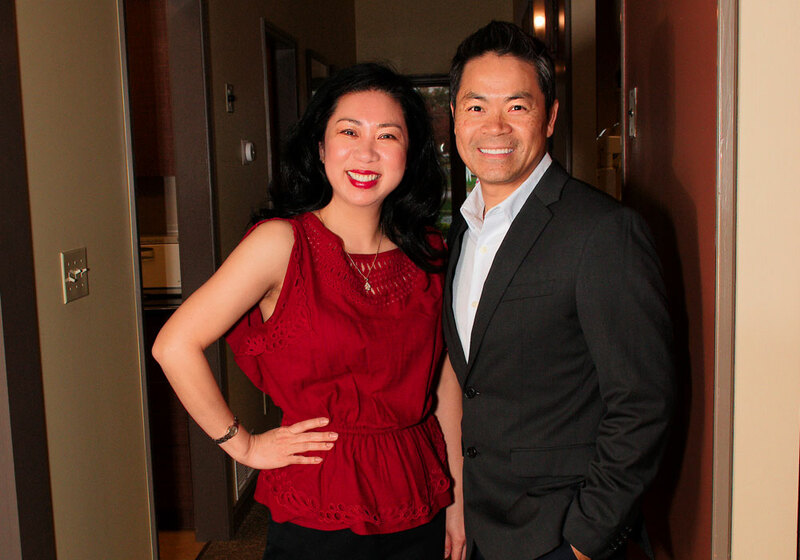 Dr.Nguyen is great at what he does and his staff is amazing and very professional!! I recommend everyone to go see Dr.Nguyen I promise that you will not regret it. I went in to get my teeth cleaning and 3 fillings done and my teeth came out looking beautiful. 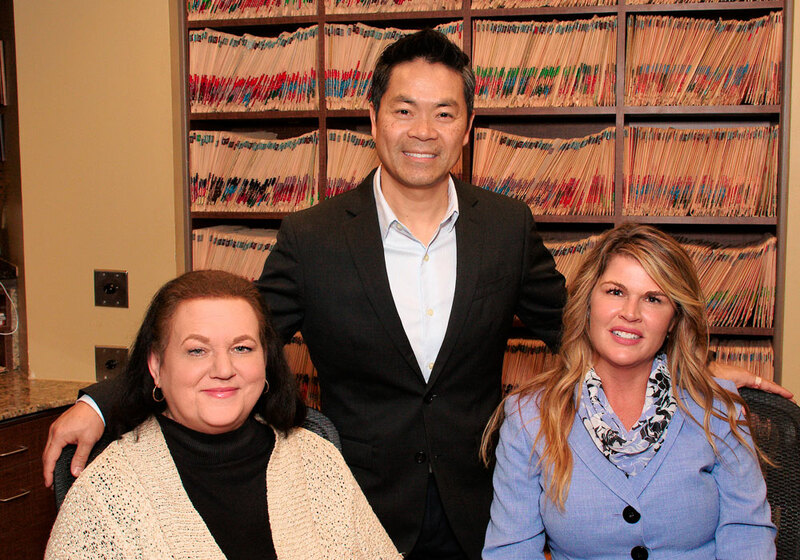 I thank Dr. Nguyen for everything that he has done and I really appreciate all the help from the staff. Great job! !